The near-collapse of Patisserie Valerie has involved allegations of accounting irregularities and seen millions wiped off its value. 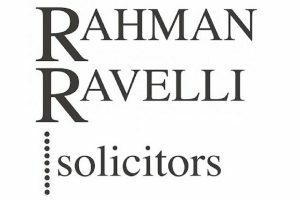 Aziz Rahman, of business crime solicitors Rahman Ravelli, explains why and how companies can prevent such problems. Just over a month ago, life appeared pretty sweet for Patisserie Valerie. The cake chain had more than 150 popular cafes, provided work for 2,800 people and had been valued on the AIM stock exchange at half a billion pounds. Days later, reports began to surface of a £20m black hole in its accounts and the man behind its success, Luke Johnson, was pumping in the same amount of his own money to keep the company afloat. An issue of heavily-discounted shares will ensure that he is eventually repaid – but the company’s value will then be down to around £70m. While an arrest has been made and the company has said it has found “significant and potentially fraudulent accounting irregularities’’, nobody can yet say with complete authority how things have unravelled for Patisserie Valerie. Yet something has clearly gone wrong. And what went wrong and why it wasn’t prevented will be the two main issues occupying those investigating the near-collapse and those with any connection to what appeared to be one of the decade’s success stories. Without pointing fingers, questions will now be asked about the prevention measures that were in place at Patisserie Valerie. If companies do not know what they should be doing to prevent workplace crime – or if they feel unable to implement the measures themselves – they have to seek outside assistance. Preventative measures will only be effective if they are devised and implemented after examining how a company functions, examining the risks that exist and determining the most effective way to remove those risks. That is the case regardless of the type of company. This will, inevitably, take some time, effort and cost. But Patisserie Valerie appears to have lost more than 80% of its value, which is more than £400 million. Such stark figures surely make the case for investing in proper preventative procedures. Regardless of what the Patisserie Valerie investigations ultimately find, it is not uncommon for businesses of all sizes to be hit by problems caused by false accounting. Under the Theft Act 1968, this is defined as where a person dishonestly destroys, alters or conceals any document required for accounting or uses information from such a misleading document in order to make a gain or to cause loss to another. It is worth pointing out that this is not an offence restricted to accountants. So while it would be a mistake to think that only the people who “do the books’’ could commit the offence, it would be an equally big mistake to rely on the accountants to be the only ones who can identify, report and prevent false accounting. Prevention of false accounting or any type of business crime may require different measures, depending on the size and nature of a particular company. But prevention has to involve carefully-devised checks and controls on working practices, ways of ensuring ongoing scrutiny of company finances and records by a number of people and a system by which any suspicions of wrongdoing can be reported confidentially and then investigated. If any suspicions are reported, the company may feel it lacks the time or expertise to carry out an internal investigation. Individuals within it may feel uneasy about investigating colleagues. But such an investigation will have to be carried out; either by senior management or people brought in from outside. The important thing is that one is carried out. Having carried out many such investigations, I can say from experience that doing nothing is simply not an option. Some reading this may think I say this because this is part of my workload. They may believe that investigating what they may see as rumours and suspicion can be a costly and time-consuming waste of effort. But case after case has shown the dangers and costs of companies not having proper procedures in place to identify and investigate possible problems. No company was ever worse off for doing everything it could to prevent workplace crime.